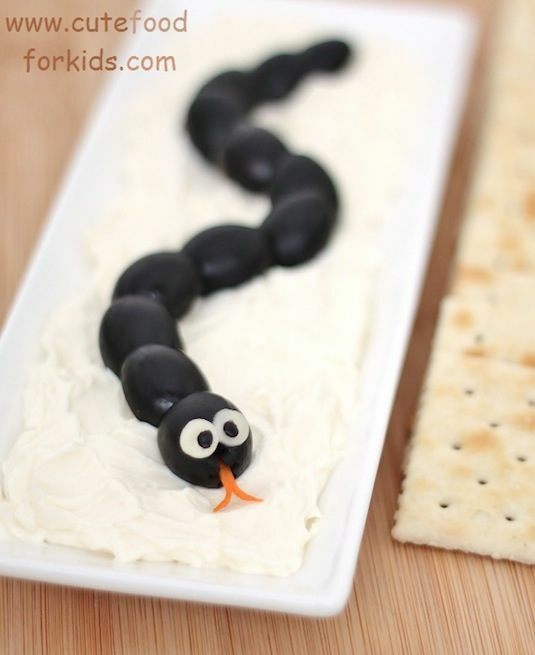 This slithering olive snake is the perfect addition to your favorite cheese or hummus dip. Add little cheese eyes and a carrot tongue to really get the full effect. You could also serve this along side a salad or on a snack plate for the kids. Pigs in a blanket, Halloween style! 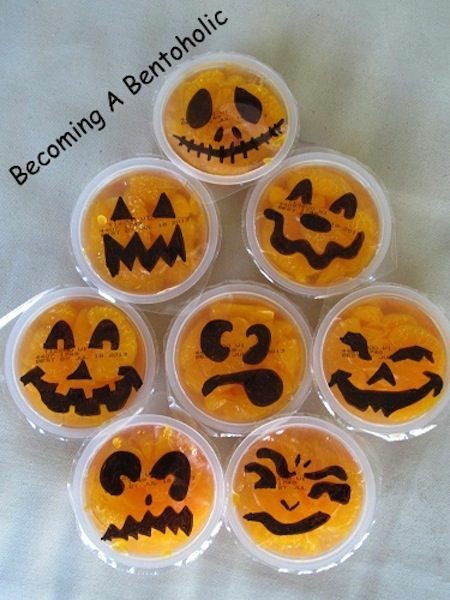 What a fun party idea or after school snack for the kids. Bonus: these hot dog mummies are so easy to make and take very little time. If you’re looking for something easy and healthy to take to a school party, this is it! The mandarin oranges are already packaged for easy transport, now all you have to do is draw on jack o’ lantern faces with a Sharpie. You could also draw other Halloween characters (bats, black birds, Frankenstein, etc. ), or write the word “Boo!”.